This might be considered cheating, I’m not sure… I might have been to this restaurant before… Once… Or twice… Or five times, in Amsterdam. On our honeymoon my partner and I enjoyed this tasty falafel stand any chance we could. They offer a ton of toppings to choose from: hummus, olives, pickles, tabouli, lettuce, cabbage, pickled vegetables, spicy onions, tahini, and garlic sauce. They’re sort of like the Subway of falafel joints. 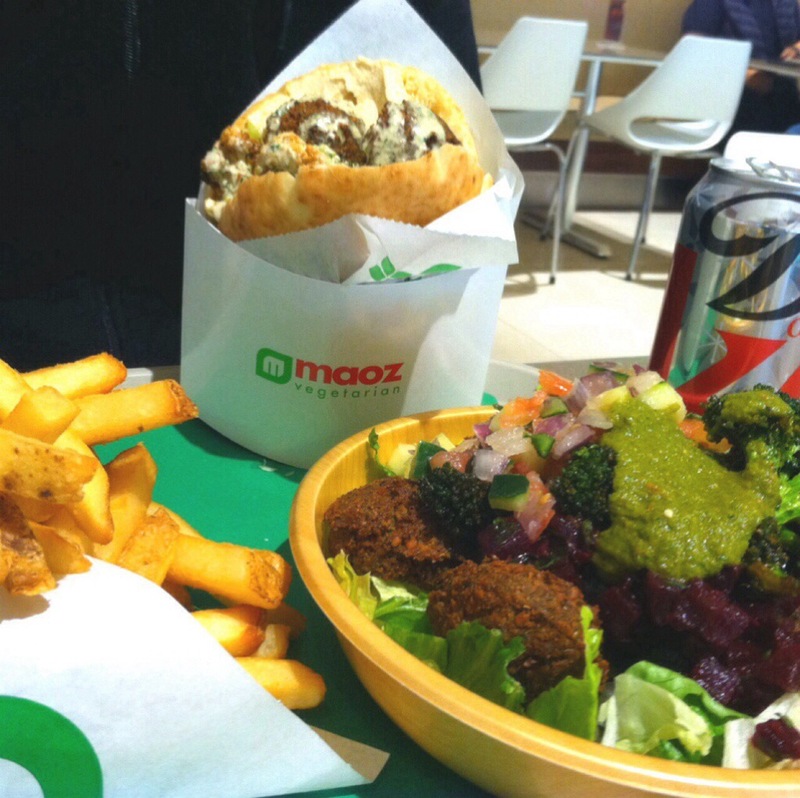 This is one of the first Maoz’s to open in the US, and we had to give it a try. I got a pita sandwich and Remy got a falafel sandwich! 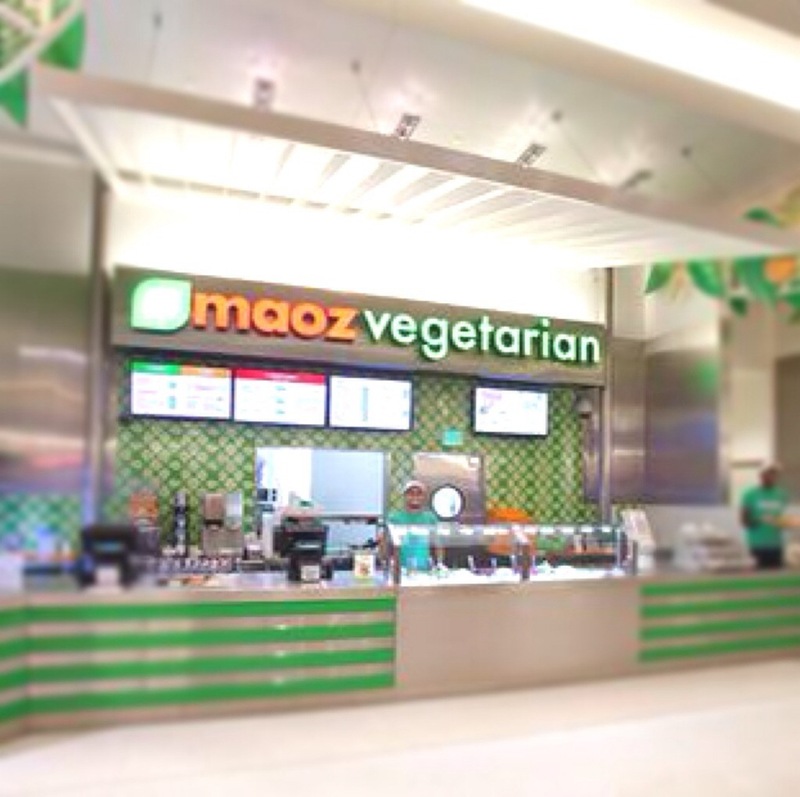 The main difference between this Maoz and the ones we ate at in Amsterdam was that the topping bar was buffet style in Amsterdam, and it was behind glass at this one. Perhaps that’s just because we weren’t a. Mall food court! It was delicious and generous portions nonetheless! Ooooh does that ever look delicious!